Two hands are dealt in baccarat regardless of how many people are sitting at the table. One hand is called the banker and the other hand is called the player. Each hand is initially receives two ares. The suits of the cards mean nothing; their rank is of sole importance. Two through nice are counted at their number value. tens, jacks, queens, and kings are counted as zero. Aces are counted as one. Hands that total more than nine are reduced by ten. This is easily done by dropping the first digit; fifteen becomes file, twelve becomes two, eighteen becomes eight. The highest possible hand is nine. Its called a natural, or formally le grande natural. A natural automatically wins unless it is tied (nine beats an eight). 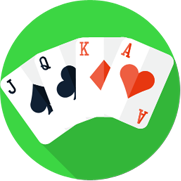 If neither hand is a natural, then each hand will receiver exactly one additional card as specified by the rules. Player draws first. After the draw, the hand with the highest point total is the winner. The table above shows the rules for how cards are drawn in baccarat. They are interesting, but don't give your self a headache trying to learn them. Its the dealers job to know when a card should be drawn. 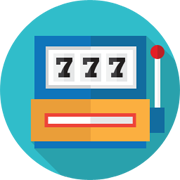 Bettors can wager on either player , banker or a tie. A win on a player or banker pays even more money; a tie is a push for these bets and no money changes hands. A winning wager on a tie pays 8:1. The true odds for a tie are about 9.5:1. The mathmatics for winning somewhat resemble blackjack, so the banker has a positive expectation. This is reversed with avig (commission) on the bank wins. its usually five percent. Not vig is charged for loses. The table below shows the house edge for each bet. The basics are self evident. Never bet a tie; always bet the banker or player.